Whether you love adventure or just traveling, there’s always something new and exciting to see around the world. Each year, people all over the world visit some of the top tourists spots. When you’re building your travel bucket list, make sure to add in some of these places. From the wide Grand Canyon to the sights and lights of Rome, put a different location on your travel to-do list every year. Make it a point to see each of these places. Take a look at the top seven places to put on your travel bucket list. With people coming from all over the world, this natural wonder is truly a sight to see. Not only does the Grand Canyon span miles and miles of the western United States, but it is also known worldwide as one of the most beautiful places in the world. From gazing out at the deep canyon to taking a ride or hiking to the bottom, you’ll be amazed at the view and the activities to do. For the more adventurous travelers, raft down the Colorado River deep inside the canyon. Take a donkey ride down a winding gorge trail, or take a hike down near the Havasu Falls. You’ll love how many sights and activities there are to do! The city that never sleeps is the perfect tourist destination for those looking for a bucket list trip. Not only is Times Square a beautiful place to enjoy the lights and sounds of the city, but Central Park is a little piece of paradise right in the middle of the skyscrapers. With museums, restaurants, Broadway shows, and shopping perfect for every age, there are hundreds of things to see and do in the city. Catch the subway to the different burbs or head into New Jersey from the city for more sights to see. Make sure to take a boat to the Statue of Liberty or take a river cruise down the Hudson. More of an adventure than a place, the Great Barrier Reef is one of the most beautiful places in the world. Off the coast of Australia, it is the largest coral reef in the entire world. With reefs in the Caribbean coming in a close second, nothing compares to seeing the reef up close and personal. For the more adventurous traveler, grab a boat and head to the center of the reef for some of the best snorkeling and scuba diving in the world. You’ll take in some of the most amazing colors, fish, and marine life under the sea. There are thousands of different marine life species to see throughout the miles and miles of reef. The perfect location for a trip the United States or Canada, Niagara Falls is right between the two. Nothing is more spectacular then getting up close and personal with a chartered boat, or take in the full picture at one of the many observation decks. 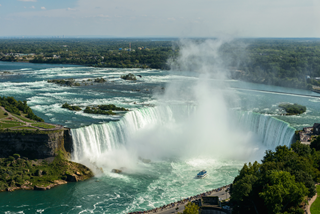 After time viewing the Falls, there are museums, zoos, aquariums, and other sights to see in your spare time. Bring the entire family or go alone for rafting or rapids navigating. You’ll love how many beautiful and exciting things there are to do and see! 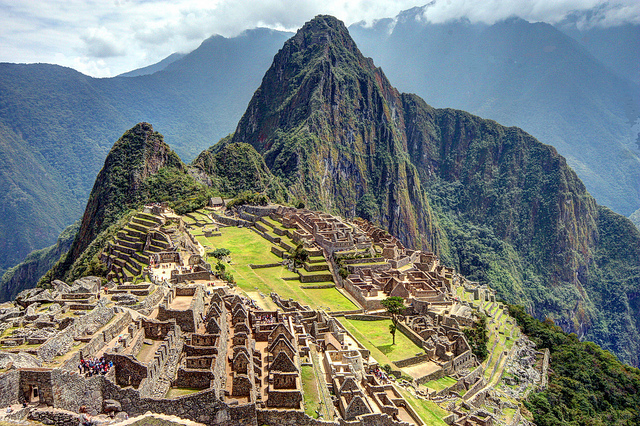 Located high in the Andes Mountains of South America, Machu Picchu is an Inca city and worship center unlike any others. With terraces, ancient monuments, and pyramids to visit, it’s a history buffs dream. As an astrological center, the Inca peoples use the area for predicting future events, worshipping gods, and growing crops. The terraces are unlike any other in the world, and the views from atop the mountain are not to be missed. Explore the temples or climb high up on the mountain for even more spectacular views and photo-ops. Built as early as the 7th century BC, the Great Wall of China was originally built for protection from enemy armies. However, now it has become one of the biggest tourist destinations in the world. Taking up over 5,500 miles long, there are things to see all along the way. Focus on one area or make a week-long trip of seeing as many different parts as you can. Walk along the top of the wall or take a mountain slide back down to the bottom. Hike some of the most notorious sections of the wall with a guide or take a historical tour for more information about the marvel. As the capitol of Italy, Rome is the perfect mixture of the modern and the ancient world. With cobblestone streets, some of the most beautiful architecture in the world, and ancient locations perfect for history lovers, Rome has something for everyone. Whether you’re looking for world-renowned shopping or the sights of years past, there are tours available for whatever interests you. Take a stroll through the Colosseum or head to the Vatican City for a glimpse at the Pope. 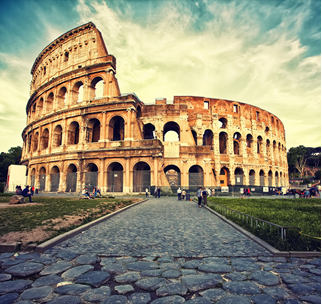 Rome is truly a traveler’s dream! Image by Bruce Tuten Under Creative Common License. “Don’t you dare set foot in Cape Town. South Africa is dangerous you know”. Cheers for the sound advice mum, but unfortunately this falls on deaf ears. Sure South Africa can be “dangerous” but I’m more likely to walk in front of a bus in London than I am getting mugged in Cape Town. Besides, my mother’s stern words were proven utterly worthless because my experience of this stunning city was anything but dangerous and risky. Like all places, if you keep your wits about you and don’t display your flashy, new iphone to the world, Cape Town is a safe and positively beautiful tourist destination. 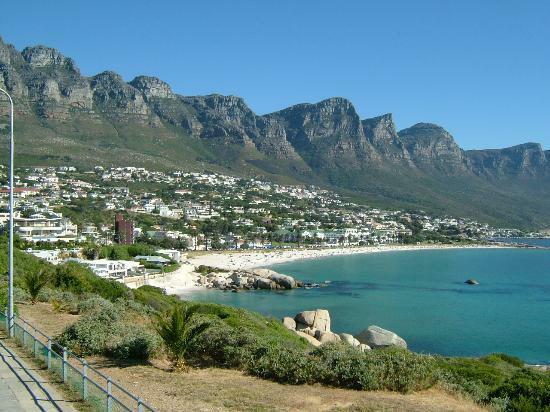 Bay beach and is only three miles from the famous, Table Mountain Cable Car. What’s more there are luxury rooms and suites to suit every taste. There is also an abundance of villas to rent in the area if the swish, hotel experience is not to your liking. Unfortunately, my wee budget did not stretch this far and I decided to loge in the centre of the city. I stayed in the cheaper yet comfortable Protea Hotel Breakwater Lodge. Minutes away from the seafront and the impressive world cup football stadium, this is a great place to be based. Staying in the city centre is also extremely beneficial if you want to catch the boat to the famous Robin Island. This historical site is a must on any trip to South Africa (just beware of the evil monkeys that live there)! For shopping as well as culture, the Victoria and Alfred waterfront complex is simply brilliant. From designer clothes to authentic, African jewellery, this place is a haven for avid shoppers. So the monkeys, mountains and historical sites were all very well and good but what about the food? The truth is you are spoilt for choice and Cape Town’s places to eat out are just as diverse as the city itself. For truly top notch cuisine I had to return to Camp’s Bay. For a memorable and simply delicious surf and turf, the Sand Bar on Victoria Street is the place to go. Also, the Blues Restaurant and Bar can be found on the same street and serves contemporary seafood dishes (not to mention a stunning view of the ocean). So, I came out of Africa unscathed. 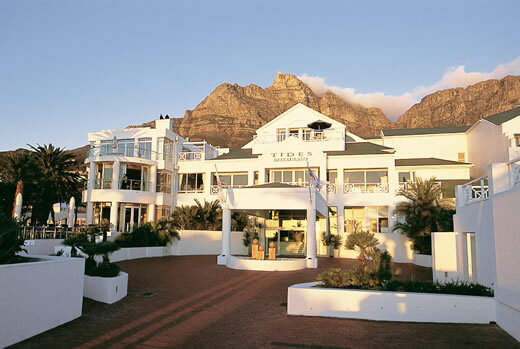 With its grand mountains and cosmopolitan streets, Cape Town is a friendly and beautiful city with a relaxed atmosphere. The only thing to worry about is those monkeys!